Dr. Julius Hyatt is a Board Certified Oral and Maxillofacial Surgeon recognized as one of the region’s most outstanding surgeons by Baltimore Magazine. A Baltimore native, Dr. Hyatt is a graduate of University of Maryland Dental School. Dr. Hyatt completed a one-year general practice residency in dentistry, followed by an additional year in Anesthesiology at Mt. Sinai Medical Center in Miami Beach, Florida. His residency in Oral and Maxillofacial Surgery was spent at Johns Hopkins Hospital and the University of Maryland. Dr. Hyatt has established a reputation as an expert in implant dentistry and oral surgery. 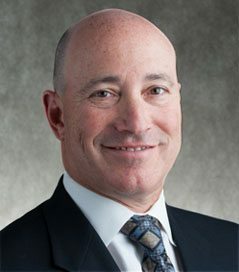 He collaborates with other oral surgeons at the Maryland Center to create a culture of excellence in treatment that has solidified their Baltimore area locations as the premiere specialists in the region. Dr. Hyatt is a nationally recognized specialist in the highly technical field of implant dentistry. He has placed dental implants and bone grafts for thousands of patients of all ages, and his extensive experience has earned the respect of colleagues across the country. As a member of the Dean’s Faculty at the University of Maryland Dental School, Dr. Hyatt instructs dental students, postgraduate students, and residents in Oral and Maxillofacial Surgery on the latest techniques in implant dentistry. He also provides continuing education opportunities on recent advances in implant dentistry for the local dental community. Dr. Hyatt has served in numerous professional leadership positions as an oral surgeon. He has served as a former board member of the Maryland State Board of Dental Examiners and the Northeast Regional Board of Dental Examiners (1994-2000) and a past president of the Baltimore County Dental Association (2003-2004). Currently, Dr. Hyatt is the Division Chief of Oral and Maxillofacial Surgery at the Greater Baltimore Medical Center. He is also the principal investigator in numerous research studies involving the development of pain medications. Middle Atlantic Society of Oral and Maxillofacial Surgeons. Institute for Dental Implant Awareness. Dr. Hyatt enjoys spending time outside the office with his wife Barbara, daughters Allison and Anna, and son Jacob. His hobbies include golf and skiing with his family. Dr. Hyatt is also involved in various community services activities throughout the Baltimore area. Contact The Maryland Center at 410-666-5225 to learn more about Baltimore Oral Surgeon Dr. Julius Hyatt and to schedule an initial consultation.